Here at Foley Law Firm, we fight for the people of Scranton every step of the way. We believe in our clients and think it's most important to offer peace of mind in addition to solid legal representation. Our experienced lawyers can assist you with auto accident lawsuits and complicated forms of injury litigation. Whiplash is a common injury people experience following an auto accident. Since it's often misunderstood, we'd like to go over the basics right now. Whiplash refers to a type of neck injury that occurs when the neck is violently stretched and extended. In some ways, it's like spraining one's neck. This rapid and sudden back-and-forth movement can lead to significant neck pain and long-term neck problems as well. Whiplash is most commonly associated with auto accidents, but this kind of neck injury can also occur as a result of a physical assault, sports injuries, and other kinds of violent trauma. It's also not uncommon for people to experience blurry vision, depression, memory lapses, sleep problems, concentration issues, ringing in the ears, and irritability. Keep in mind that there may be a delay in seeing the symptoms and signs of whiplash. An accident may occur and the victim feels fine, but a day or so later, issues with neck pain and headaches may become noticeable. Whiplash is rather common, especially following auto accidents that lead to the throttling of an injury victim's body. One thing that surprises so many people is that whiplash can occur at low speeds. If a vehicle is traveling as little as 5 miles per hour, being struck suddenly can lead to a mild case of whiplash. Many cases of whiplash occur during collisions at just 12 miles per hour. Most injury victims will recover from whiplash after a few weeks to a few months, though some people may experience the symptoms and side effects associated with whiplash for many months afterward. Not getting proper treatment for whiplash can lead to slower healing and significant discomfort. 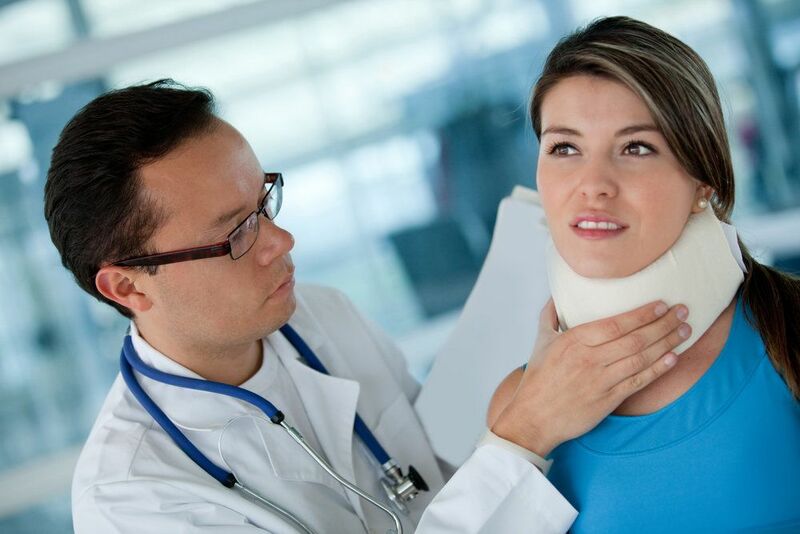 Thankfully most cases of whiplash do not require major treatments and invasive surgeries. Most cases of whiplash can be treated through a combination of over-the-counter pain relievers, the use of a supportive neck brace, and getting proper rest. In some cases, injection therapy may be recommended to help ease pain and discomfort. Doctors may ask patients to use ice or heat to assist in pain relief and pain reduction. It's not uncommon for muscle relaxants to be prescribed as well in order to address sore soft tissue. Whether the accident was at high speed or at low speeds, it's important to seek out the guidance of an attorney following your collision. Your lawyer will fight diligently on your behalf to receive damages that cover medical expenses, lost wages, and other hardships endured as a result of your injury. Going it alone can be quite difficult, especially with the complexities of the litigation process. We can offer peace of mind so you can focus on recovery. To learn more about neck injuries, whiplash, and other matters related to auto accident litigation, be sure to contact our team of personal injury attorneys today. Our attorneys are here to help you in your time of legal need.